The following is the full text of a speech delivered by Music Canada’s President and CEO, Graham Henderson, to the Economic Club of Canada on November 1, 2016. Back in 2003, a famous Canadian recording artist had this to say when he was asked about his prospects in the new digital economy: “we are entering a golden age, a golden age.” This was an idea embraced by artists, the media, pundits, professors and most importantly, policy makers around the globe. We must (and I include our government policy makers here) harness our imaginations. We cannot look at the world and see it only as it is. We have to be able to see it as it might and should be. And frankly, creators are really good at doing that. Creators for centuries have fought and in some cases died to change the worlds in which they lived. Oppressive forms of employment were ameliorated; people, not corporations, gave us universal healthcare – because PEOPLE decided that THAT was the way they wanted to live their lives. Well, the preambles to these treaties give us an idea of what WIPO wanted to do. The people who drafted the Copyright Treaty, told us that it was designed to (1) recognize the profound impact of the development and convergence of information and communication technologies on the creation and use of literary and artistic works, (2) emphasize the outstanding significance of copyright protection as an incentive for literary and artistic creation, and (3) recognize the need to maintain a balance between the rights of authors and the larger public interest. Creators belong on this list as well – as its charter members, I would argue. I have heard corporate executives and government policy makers discuss the “gig economy” in almost breathless terms – invariably the people extolling its virtues have full time jobs with benefits and pensions. They have no IDEA how desperate life in the gig economy can be. Musicians know. Part of the problem has to do with how people are consuming music online. There are two principal methods – subscription and ad-supported. It is the latter — ad-supported, on-demand music services such as YouTube and SoundCloud — that have driven most of the increase in digital music consumption. But those services deliver far less revenue than paid services. A subscription service, such as Spotify for example, returned $18 (US) a year per consumer in 2014 — compared to YouTube’s $1. Ad-supported services, with more than 13 times more users than paid services, delivered less than one-third as much money to artists and other rights holders. 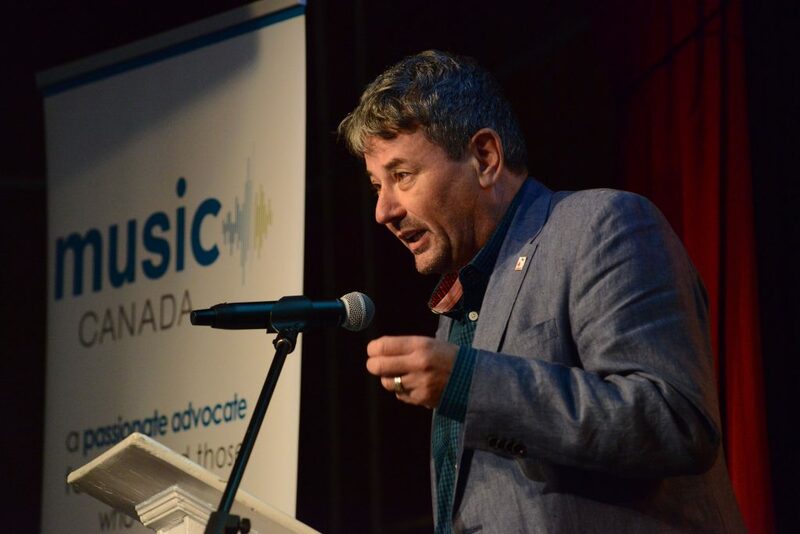 Music Canada is among those now calling for reforms. But the entire creative community, here in Canada and around the world, is speaking up. There is very clearly a call to action – so what should this action look like? Music Canada identified these options in our 2015 Music Cities report. The report has gone viral all over the world. The idea of local governments creating music cities, and mayors running on pro music platforms, would have been ridiculous just a few years ago. Yet today nine municipalities of various sizes across the country have Music Cities strategies in place. And more are coming. Municipalities are taking these steps because they understand that the benefits are worth the effort. For example: job creation, economic growth, tourism development, city brand building, artistic and cultural growth. Strong music scenes have also been proven to attract other business investment along with talented young workers who put a high value on quality of life, no matter what their profession is. At the provincial level, Ontario and BC are trailblazers, having created music-friendly programs that are almost unique in the world, with substantial music funds and music-friendly policies such as red tape reduction strategies to facilitate live music performances. For her part, Minister Joly has been crisscrossing the country, asking people to think big, to be ambitious and to step outside the box. So let’s think about that. How CAN the federal government get involved? How can it innovate and, like Ontario and BC, blaze a new trail? The government has made it clear that it wants a new toolkit to confront the challenges facing Canada’s creators, that it seeks a new social contract. It has four levers in its toolkit: legislation, program funding, policies and treaties, and institutions. Here are some thoughts about how those levers might be pulled to benefit our creative community. First, I’d like to applaud the federal government on signing the CETA agreement with the European Union. This treaty contains provisions that will encourage the creation of intellectual property assets. The production of these assets results in a double dividend for our country – 1) they are material assets, which are owned by Canadians and are exportable, and 2) they are cultural – assets which allow us to tell our story to the world. More of this please! Canada currently boasts an enviable system of programme funding for music. But that funding needs to keep pace with inflation as well as the changing realities of the marketplace and creators’ lives. I have repeatedly urged the government to pay attention to how the lives of creators have changed. For example, in a globalized market, developing export opportunities is critical for them. So? Spend money on the Trade Routes programme – a LOT of money; earmark some of it for music. Musicians used to be surrounded by a universe of enablers and supporters. They are gone with the ecosystem, gone with the money. Musicians are now more-often-than-not micro businesses, sole proprietors, entrepreneurs. Has any thought been given to a programme to fund skills and entrepreneurial training? Here, the federal government has already taken positive steps such as increasing funding for the CBC and the Canada Council for the Arts. During her recent consultations, Minister Joly made the point that the government is looking to go in new and bigger directions. She looked back to an era in which the CBC, the CRTC and the Canada Council had been created. First, one institution that needs to be repaired is the Copyright Board of Canada. I’m actually flying tomorrow to hearings that are being conducted by the Senate into the operation of the Copyright Board of Canada. That is first on our list of institutions I would encourage the government to modernize, and to turn it into a true business development office for the creative industries. But here’s a really big idea. Right across the country music education is in jeopardy. Increasingly, the students with access to music education are from more affluent communities. Inner city youth, remote, rural and indigenous communities are getting shut out. But it is not just music, it is the liberal arts in general that are at risk. We need to reconnect our young people with the importance of a liberal arts education, with the importance of creativity. One of the things we’ve seen is an erosion of respect for the creative process. Rebuilding respect for the humanities will assist us in rebuilding our shattered framework. The federal government needs to exercise a leadership role because this is a national issue of national importance. The federal government already supports a programme like this – focused on science. It is fantastic and connects young people with the importance of a science education. If Science then, why not Humanities? I urge the Department of Heritage to convene an expert panel to consider this issue and to establish a permanent National Humanities Council. I will offer a sort of coda at this point. One of the questions being asked by the Minister of Heritage is “how can the government use content to promote a strong democracy?” This got me thinking about the intimate connection – throughout history – between creators and democracy. Poets, film-makers, and novelists have always played an essential role in the fight for democracy and civil rights. Here in Canada we have an immediate example at hand, Gord Downie’s Secret Path. But to his name we can add Pete Seeger, Solzhenitsyn, Vaclav Havel, Billie Holiday, Nina Simone, Percy Bysshe Shelley, Fela Kuti and many, many more. These are all people who were banned, exiled or jailed for their fight for justice and democratic principles. It is instructive, is it not, that after the revolution in Czechoslovakia, the people turned not to a strongman but to a playwright. A playwright whose velvet revolution had been powered by illicit tapes of Lou Reed’s band, The Velvet Underground. As you may have heard when you entered the room, our background music was a selection of protest songs. That has been one of music’s great contributions to our world: music and protest anthems have been associated with just about every social change for decades. I’ve put a Spotify playlist together which you’ll find at your seat. Our creators are truly, as Shelley famously said, “the unacknowledged legislators of the world.” Now when he says they are legislators, he doesn’t mean they’re lawyers, he doesn’t mean they’re necessarily politicians. What I think he is saying is that creators predict our future, they underpin our future, and they create a framework (political AND cultural) for our future. To the extent we allow those voices to be in any way compromised or marginalized, our democracy will suffer a great loss. Should we just “get used” to the way things are? The people opposing the brutal child labour regimes of the 1st Industrial Revolution did not “get used to” those conditions – they fought to change them – and they changed the world. We’re are in the midst of what some are calling the 4th Industrial Revolution. Young people today, and creators, members of the “precariat”, are also objecting to the circumstances of their lives. And I warrant they will fight to change them. As I said at the outset, in a social democracy we do not have to get “used to it”. We have the right to decide what sort of world we live in. So my answer to the Minister’s question is this: If you want a stronger democracy that is less vulnerable to special interests, do everything in your power to restore balance to the world in which our creators live. Encourage and enable them. Our creators are not living in a golden age. That was the original goal, they didn’t get it, the promise was broken – so we owe it to them. Now. And let’s all remember, the fight for democracy and justice has always had a soundtrack. The panel discussion at Music Canada’s 2016 AGM put the spotlight on the ability of creators to earn a living in the digital age. 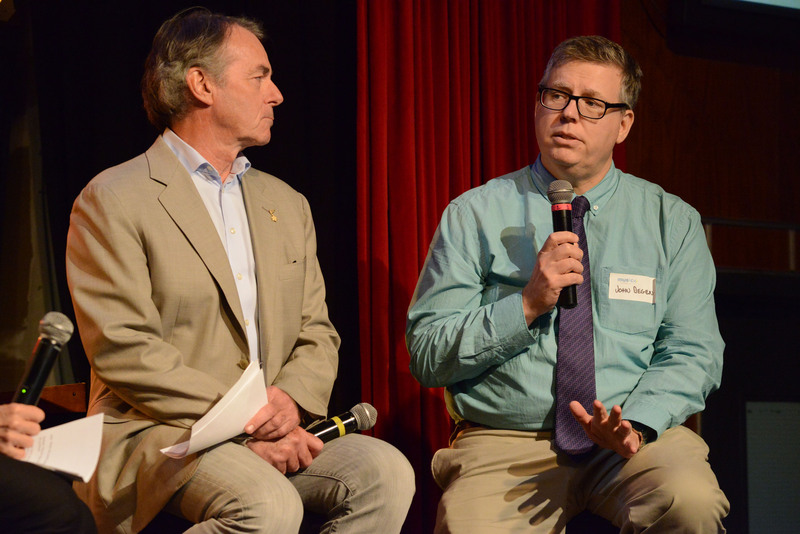 Sharing perspectives from two of Canada’s great cultural industries, writing and music, John Degen and Graham Henderson discussed something common to all of Canada’s cultural sectors – the need for a functioning marketplace that properly remunerates creators when their work is used. 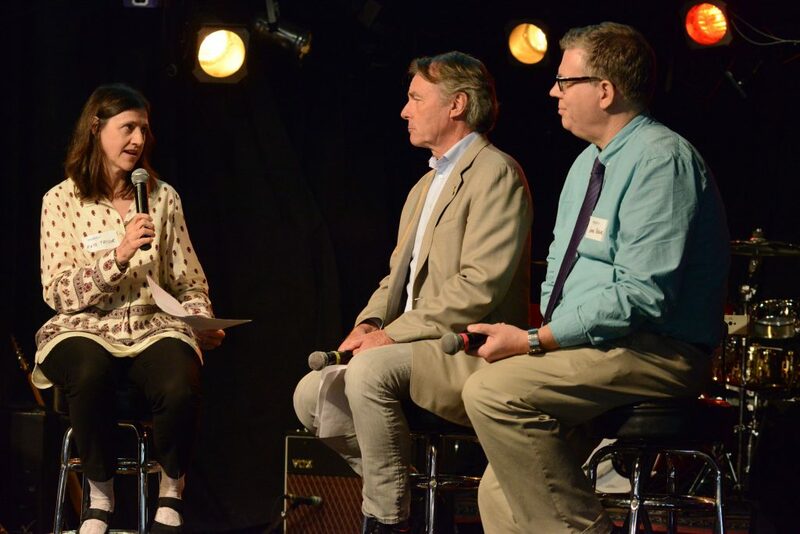 John and Graham were interviewed by Kate Taylor, an expert in Canadian cultural sovereignty in the digital age. 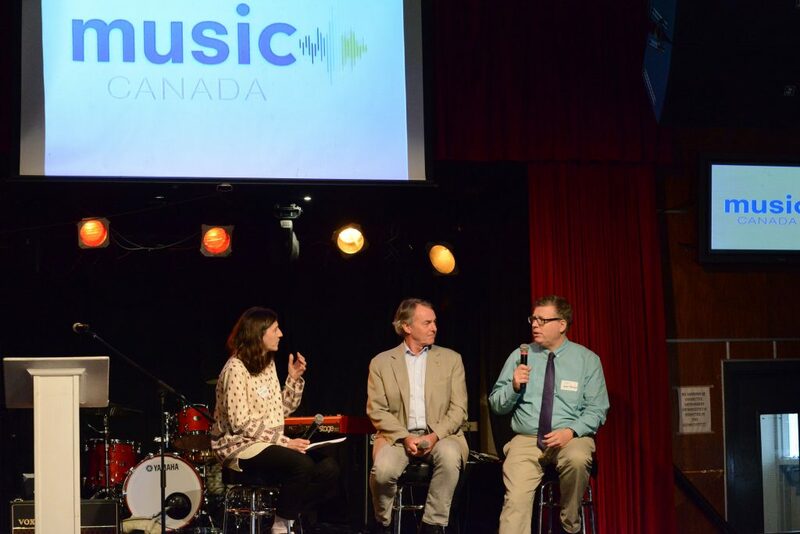 The panel was introduced by Steve Kane, President of Warner Music Canada. John Degen is a poet and author, and the Executive Director of the Writers’ Union of Canada. 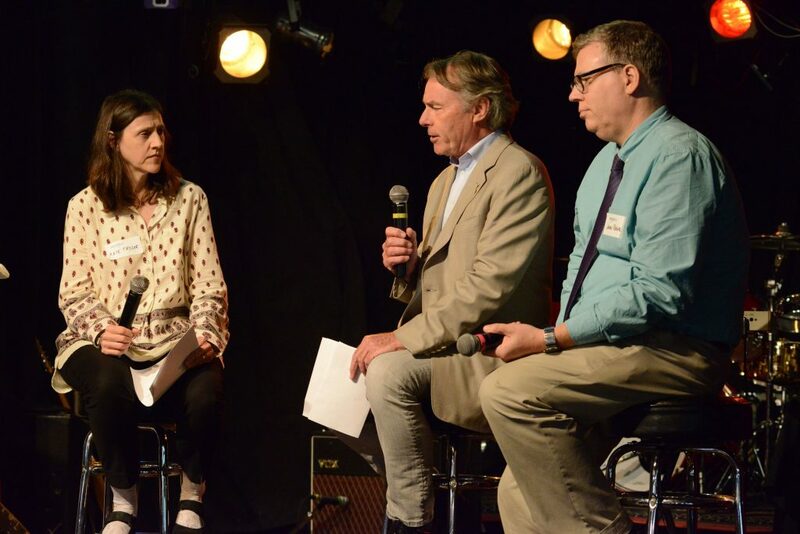 For the last two years, John has chaired the International Authors Forum, an umbrella organization for authors’ organizations around the world, with a network of around 650,000 authors. 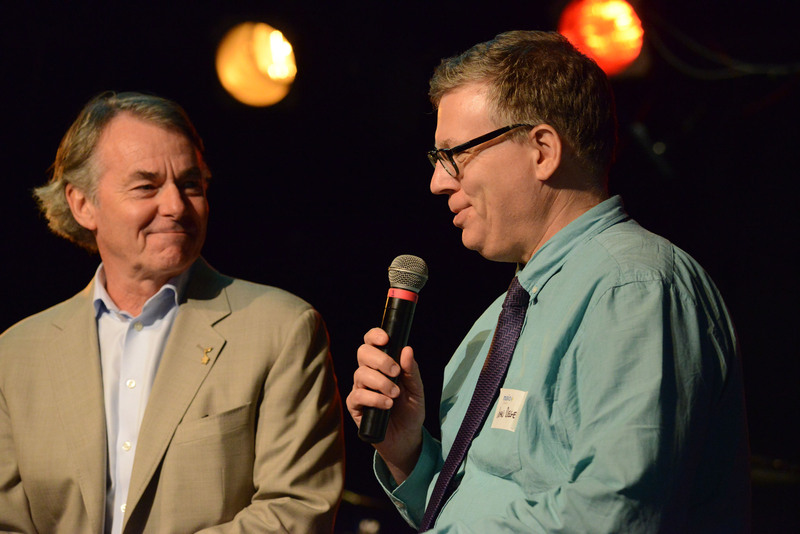 John is a long-time partner of Music Canada on issues affecting creators in Canada and an outspoken advocate for creators’ rights. Kate Taylor is an award-winning novelist and journalist with the Globe and Mail, where she currently serves as lead film critic. Kate previously hosted Music Canada’s Global Forum at CMW 2015, where the topic was The Survival of the Creative Class. Graham described how remuneration for creators has steadily eroded over the past 20 years, and how it’s harder than ever for a middle class of creators to earn a living from their work. Graham summarized the effect of the digital shift with a quote from Francis Gurry, Director General of WIPO, as a “seemingly avoidable and inappropriate loss of value to creators, performers and the creative sector.” Graham noted the key was that this was avoidable; it didn’t have to be this way. Wealth created by the enormous opportunities technology, which creators have embraced, brings is not finding its way to the creative side of the ledger, despite the best intentions of the lawmakers who wrote the rules currently governing the digital environment. A 2015 Writers’ Union study titled Devaluing Creators, Endangering Creativity found that, taking inflation into account, writers are making 27% less than they were making in 1998 from their writing, while 45% of writers say they must do more to earn a living now. John confirmed that trends in Canada are happening all over the world. The conditions under which creators work are becoming increasingly difficult. Globally, there has been a 27-29% decline in authors’ income. The full video of the panel can be viewed below. The Honourable Mélanie Joly, Minister of Canadian Heritage, has announced the beginning of consultations on Canadian Content in a Digital World. 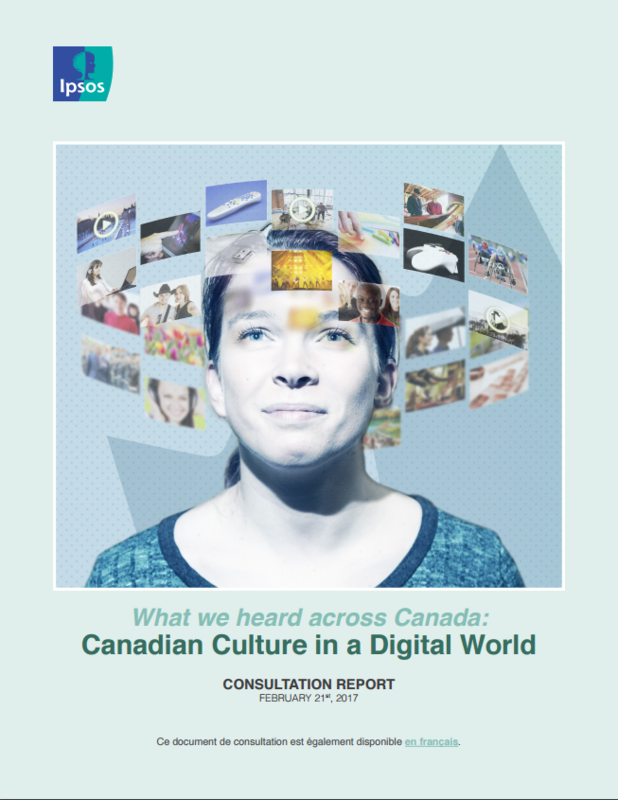 The consultation functions as a review of the Heritage department’s cultural funding programs and regulatory structures (Joly has repeated that “everything is on the table” in this review) and will seek to determine how the government should support the creation, discovery, and export of Canadian content. Drive social and economic innovation by forging strong links between creativity, economic growth and social resilience. According to the ministry’s release, Minister Joly will host in-person discussions with representatives from a variety of cultural sectors across the country to receive comments on topics covered by the consultation. Canadians will also have the opportunity to comment on social media and through discussions within their own communities. For artists and musicians—and all creators—these consultations represent an opportunity to make their voices heard. You can participate in the consultation online here.